Since the beginning of 2018, 1,814 Nigerians have been killed across 17 states in Nigeria , a figure that is already more than double the 894 that was recorded in the whole of 2017 according to Amnesty International , a human rights group. 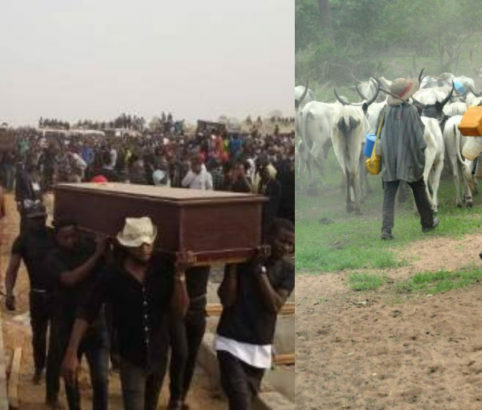 According to the group, the deaths were usually as a result of farmers-herders conflicts, Boko Haram attacks and armed banditry. The statement signed by Osai Ojigho, the Director of its Nigeria office, disclosed that the failure of the government to hold people accountable contributed to the increased death of Nigerians in the country. “We are gravely concerned about the rising spate of killings across the country, especially the communal clashes between farmers and herders and attacks by bandits across at least 17 states,” Ojigho said. “The authorities have a responsibility to protect lives and properties, but they are clearly not doing enough — going by what is happening. The group also reacted to the recent killings in Plateau State which they condemned, and faulted the security measures of the government. AI urged the government, to arrest and prosecute anyone found culpable in the brutal attack that claimed over 200 lives in the state. "Ojigho said: “We hope that President Buhari’s commitment to bringing those suspected to be criminally responsible for the killings in Plateau State to justice will break the impunity that has spread through the country. “In addition, government must answer these questions: who are these attackers, where do they come from, where do they go after attacks, who arms them, why is security forces’ response time very slow?